Ukraine’s incoming government has already begun a charm offensive towards China. Ukraine’s ambassador to China on Friday pledged to deepen ties with Beijing under the new government in Kiev. “The Ukrainian government has made its promise clearly. It will adhere to the documents signed by each side and implement the existing cooperation projects, in the hope of pushing mutual cooperation to a higher level,” Oleg Dyomin, Ukraine’s Ambassador to China, said Xinhua reported. According the report, Dyomin also noted that the two sides had deepened their cooperation on a number of issues over the last few years, including an agreement last year to strengthen strategic ties. The ambassador also said that Ukraine and China have complimentary economies as Ukraine covets China’s modern technology while Beijing is interested in Ukraine’s agricultural products. In this way, Dyomin said that the new Ukrainian government hoped to play a role in Xi Jinping’s Silk Road Economic Belt initiative. 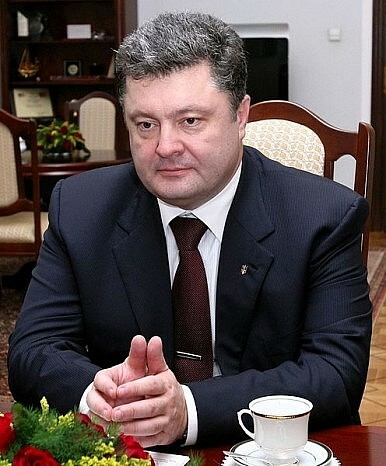 On May 25, Ukraine elected a new president, Petro Poroshenko. President Xi called Poroshenko to congratulate him, but not until Wednesday of this week, according to Xinhua. The report did not explain why President Xi had waited a week and a half before congratulating the new president. It’s possible Beijing wanted to confer with Russia on the issue, although Moscow immediately pledged to work with Poroshenko following his election last month. Separately on Friday, Xinhua reported that President Xi will send a “special envoy” to Ukraine to attend Poroshenko’s inauguration on Saturday. According to the report, that special envoy will be Chinese Cultural Minister Cai Wu. Despite his current position, Cai, who is a member of the Communist Party’s Central Committee, has vast experience in international affairs, having served in senior positions in the Central Committee’s International Department. He has served as Xi’s special envoy to foreign leaders before, including last year when he met with Iranian President Hassan Rouhani soon after his election. Before the toppling of the former Ukraine government in February, China and Ukraine had strengthened ties considerably over the past few years. This included former Chinese President Hu Jintao making a state visit to Ukraine in 2011, and former Ukraine President Viktor Yanukovych making state visits to China in 2010 and 2013. During the latter state visit, Yanukovych and President Xi signed a “treaty of friendly cooperation,” which established a strategic partnership between the two countries. Furthermore, as Gregory Moore noted last month, China has come to see Ukraine as an important source of military technology. Indeed, Beijing first aircraft carrier, Liaoning, is a refitted Ukraine carrier. Its budding ties to Ukraine, along with its more developed ties to Russia, were two of the factors that led China to take a cautious position towards the events in Ukraine and Crimea this year. While leaning towards Russia, Beijing has mostly tried to downplay its role in the crisis. Above all, China has called for a political dialogue that resolves the outstanding issues peacefully and restores stability. This increasingly looks like a real possibility. At events in France on Friday celebrating the 70th anniversary of the D-Day landing at Normandy, Russian President Vladimir Putin held bilateral talks with both U.S. President Barack Obama and incoming Ukraine President Poroshenko. Should a resolution of sorts take hold in Eastern Europe, look toward China to renew its efforts to strengthen ties to Ukraine.